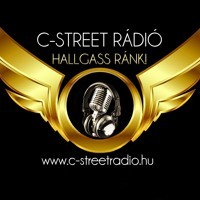 C-Street Radio is a community-based online service seeking to upgrade its position as a vital component of the Romani community in Budapest. In cooperation with RadioExpert, C-Street provides information, opinion, and most of all important cultural representations - including great music! We support the hard-working team at C-Street with capacity building services and look forward to help them grow into the radio voice for Roma people in Budapest. "It has been the risk takers, the doers, the makers of things - some celebrated, but more often men and women obscure in their labor - who have carried us up the lnog rugged path toward prosperity and freedom."